Welcome to Day 10 of 30 Days of Q&A. Today I am going to be answering the question how to deal with separation anxiety when you return to work after maternity leave. 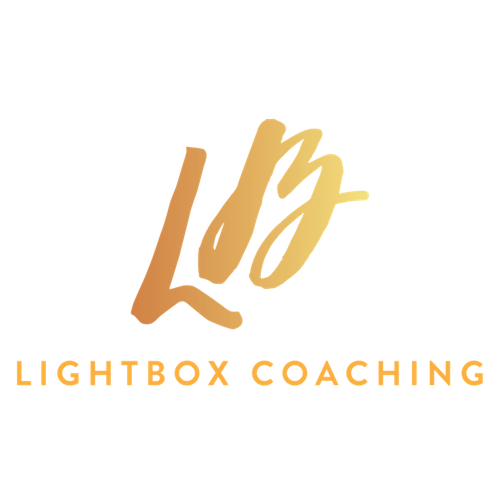 For those of you that don’t know me, my name is Janine Esbrand and I am the founder of LightBOX Coaching where I help women to return to work with confidence and build careers that they love whilst raising a family. This is a question that I have got asked around separation anxiety of a first-time mum who is returning to work and worrying about how she is going to deal with missing her baby. Now, I can totally relate for when it was my first day going back to work after having my son, I was on maternity leave and I was really feeling a bit anxious about how I would feel at work, how I would cope by not being with him. Because I have been living for the whole year prior to getting back to work day by day, every day, and he has been my little sidekick. I wondered how I would cope. I want to share with you three things that you can think about and do to prepare yourself in the transition period. Remember that when you first see a milestone, it really is going to feel like the first time it happened. It may well be that your child coos for the first time, take their first step or talk through the first time when they are in childcare and not with you, but remind yourself that when you see it for the first time you are going to have the same reaction and feel exactly the same way as you would have if it happened for the first time. I remember when I dropped off my son at nursery for the first time and his key worker has asked me whether or not I wanted her to tell me if he had done something new developmentally and my response was, yeah, tell me. She shared that some parents decide that they don’t want to know that they have done it at nursery because then for them it can really feel like the first time. If that would work for you, then do that. Tell your child care provider not to let you know that something happened or just remind yourself, as I said, that the first time you see it is going to feel like it is the first time. Your child, if they have taken the first step, they are going to continue to step. If they have taken their first coo, they are going to continue to do that if they just started talking. You are going to get to enjoy all the first moments over and over again. Try not to be as awful and guilty about not being with them when it happened for the first time. So, that is the first thing. Find a co-worker or a friend within your working time that you can go to on the days that you are going to have a tough time. It is going to happen. There are going to be moments where you really miss your baby and you really feel like you are not wanting to be at work and you should be with them. Find somebody that you can go through, talk and confide in at those moments. I talk all the time about the importance of building your network and having the right type of support in your network. This transition period is really important for you to have the right people that you can rely on and go to if you need help from your network. Work on that. Think about who you can leave your child to and build relationship with who can be that person for you in your working environment. If you are working part-time and you are going to be spending some time in a week with your baby or you are working full-time and you’ve just got the weekend, be intentional about the time you are spending with your baby or child. Just think about activities that you can be doing that are different and that you really going to be creating memories around so that when you are at work and away from them, you can have those memories. You can look back at pictures. Think about on the great times you have together so you don’t just feel like you are working overtime and not spending time with them. But the time you are spending is really significant time and memorable for both of you. Make an active effort to shed some of your time. It doesn’t have to be all the time but if you make a point over the month that you are doing some really nice, new, interesting things together that you were not doing before, then you are making memories which is going to be amazing for both you and your baby. So those are my three tips for dealing with separation anxiety. It is a tough time and hard transition. But with time, both you and your child will get used to it and you will enjoy going back to work and they will enjoy the time they are spending in childcare and you will see their development around that as well. It is all going to be good. It is all going to be fine. I hope you find that useful if you are transitioning back to work. If you know anybody who is, do share this video with them. We are a third of the way through of our 30 Days of Q&A series. Come and join me in my Facebook group, Careers Beyond Motherhood community, where we talk about all things careers and motherhood related. I will share the link in the comments. I would love to hang out with you. One final thing, if you are transitioning back to work, I do have a Smooth Return Roadmap. This is basically a guide that gives you a step by step on the things that you can be doing to make sure that your transition back to work is a smooth one. I will share the link to that too, so you can go sign-up and grab your guide. Thank you for signing up for a 30 Day Q & A Video Bundle. We are working on bringing all of the videos together for you and will be in touch as soon as they are ready.